77mali wrote: If you REEEEEALY wanna be Canadian- go for this scheme. 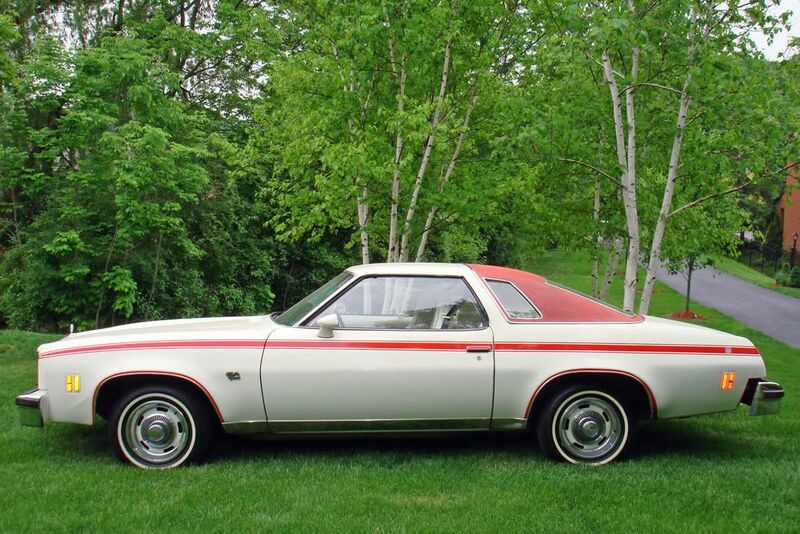 This is the 76 Olympic Edition Chevelle from GM of Canada. Might also be an interesting way to two tone using those lines. Funny that its a 76 with a flat nose. 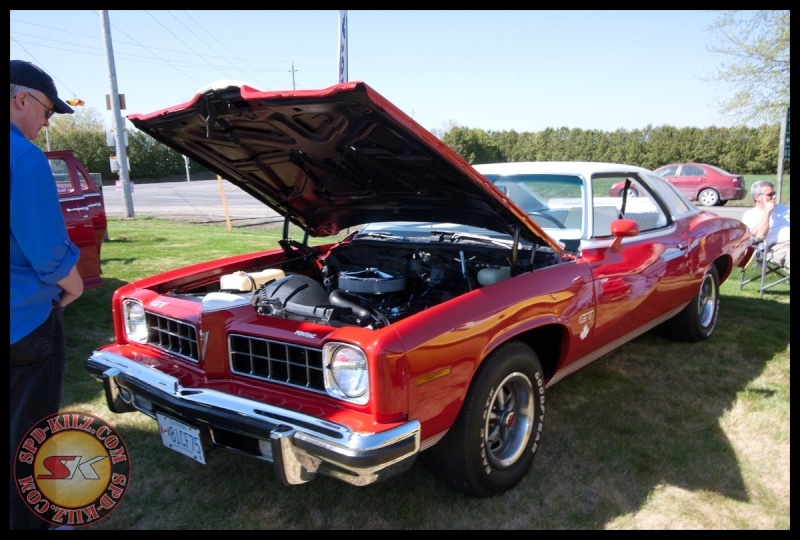 i saw a car at a show about two years ago, the owner claimed that it was a special edition canadian theme vehicle and only 11 were made i though t ihad a picture somewhere , but i cant remember the car for the life of me. What's the seventh digit in your VIN? That'll tell you what plant it was built in. Yes, IDK about only 11 but that Pontiac Lemans GT has a name too, which escapes me @ the moment. They Built a few GT37 Lemans' also but that one you posted is different. Pretty cool cars those Poncho's. Yeah im not 100% on its production numbers but it was in that range, just insanely low. chevellelaguna wrote: What's the seventh digit in your VIN? That'll tell you what plant it was built in. ill look for the ownership when I get home, and let you know what it says. if you could tell me exactly where its from that would be great. I have the car history at home aswell. That's the great thing about buying a car in Ottawa, they have that package you have to buy from the Ministry of Trans. Gives you all the previous owners of the car, and the dates title was transferred. I still have it when I bought my Laguna. chevellelaguna wrote: That's the great thing about buying a car in Ottawa, they have that package you have to buy from the Ministry of Trans. Gives you all the previous owners of the car, and the dates title was transferred. I still have it when I bought my Laguna. Are you sure that last #1 isn't a "Z"? My '74 was built in Canada. [img] [/img] This is one my friend did for me and wants to put it on a shirt. Just used a photo of my car. I'm lovin it. Interesting. No mention of Wentzville in the GM Heritage package for 76 that's online. They do mention Oshawa as #2. Those renderings are amazing. That was done in Photoshop? I would love to learn more about that process as I have two paint jobs to do this summer. It would be way cool to be able to "see" them in a couple different schemes up front. michiganlarry wrote: Those renderings are amazing. That was done in Photoshop? I would love to learn more about that process as I have two paint jobs to do this summer. It would be way cool to be able to "see" them in a couple different schemes up front. yeah it was photoshop. took me awhile to get good at it and you need to start with a hi resolution photo. if youd like id be more then willing to help you with that. just take a good photo of each car from that angle and a side profile and tell me your idea and ill see what I can do. unfortunately getting a metal flake or any other special effect to see the lighting I cant do just yet. Thanks! The first job is a 1964 F100 and the second is a Jeep Cherokee. Can you quickly explain how you change the color and draw the two tone line. I have Photoshop Elements 10 that I process website images on. Not sure if the cheapy version is capable of this. michiganlarry wrote: Thanks! The first job is a 1964 F100 and the second is a Jeep Cherokee. I use photoshop elements 5. It came with the bamboo tablets years ago and it was accually the full program. elements 11 is a "teaser", ive used it and its not very helpful at all because they want to force you to buy the whole program. but I use a combination of magnetic lassos, lassos, brushes, line tools, like 6 layers, multiple colour variation and hue tools. 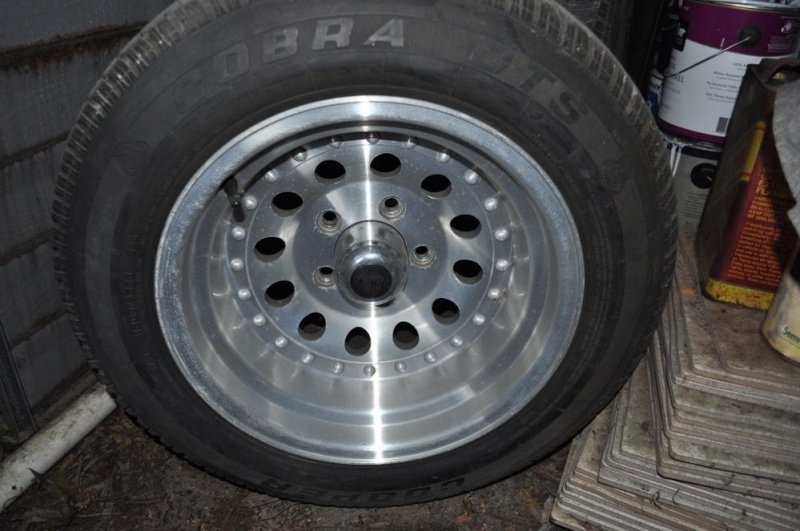 I have some nice centerline rims on mine im keeping those, I love them. they have a brushed look to them. Thanks I will give it a go and see how bad I mess it up! Fishhead, did you ever check out sst/auto drag afficinados on Facebook? Its a page dedicated to these wheels. There is also a slot mag page, crager page, daisy mag page, and a couple others i can't remember in my current buzzed state.